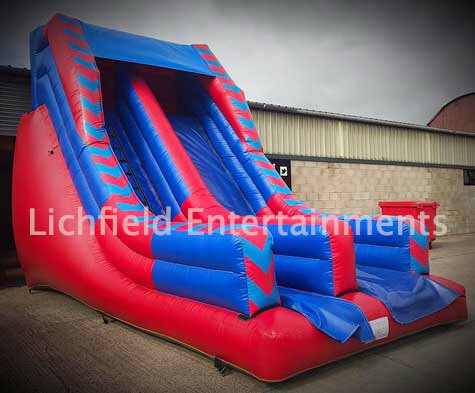 We have two different sizes of bouncy slide available for hire - an 8ft platform slide and the new 12ft platform Mega Slide. 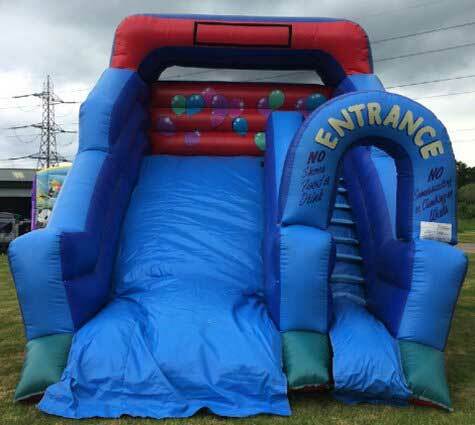 The balloon themed slide pictured immediately below is an 8ft platform slide that's suitable for use by children up to age 14. The above 8ft platform slide requires an overall operating space of 30x25ft and this needs to be a grassed surface if outdoors. It comes supplied with a friendly supervisor as standard to ensure safe use. New for 2018 is the new 12ft platform Mega Slide. 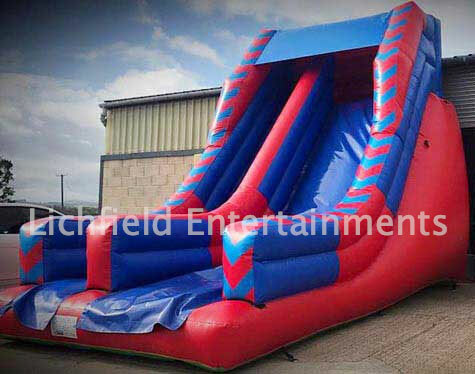 This slide is suitable for all ages and requires an overall operating space of 38x25ft. It comes supplied with supervising staff as standard. Due to the size and weight of this slide we need full vehicle access to where the slide is to be installed. 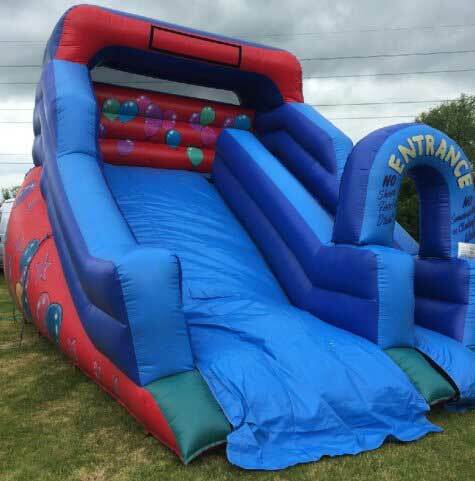 If you have any queries, questions, or would like to hire a bouncy slide or any of our other inflatables please click here to enquire and we will do all we can to help.